Is there any felicity on earth that compares to reading a great book on a quiet beach? No. There is not. I’m linking up to the Top Ten Tuesday meme over at thebrokeandthebookish.com to share my five favorite beach reads from the past and the five books I’ll be reading this summer. What’s even better is I’m also including the five books you must read with your kids at the beach! Fifteen for the price of ten! Hang on to your sunhats. The Pilot’s Wife – Shreve is like Piccoult: she may not be everyone’s cup of tea, but read at least one of her books. Her writing is beautiful. What Alice Forgot – Light hearted, yet thought provoking. Orphan Train – A great piece of historical fiction! Bonus: If you have not read these, these two off my Favorite Books List are best by the beach! (though probably not on the beach—I have three kids 7 and under…reading on the beach is a thing of the past and the future, but not the present). The Forgotten Room – Karen White is best read by the ocean! I especially loved Long Time Gone. Everyone Brave is Forgiven – The book of the year, apparently! It’s often compared to All the Light We Cannot See. 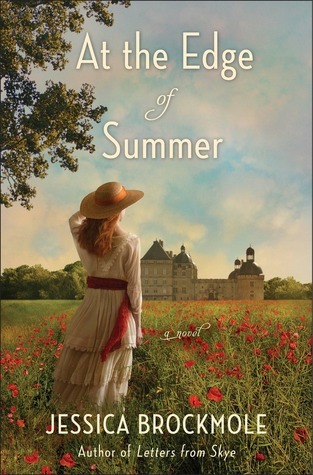 At the Edge of Summer – A new book by the author of Letters from Skye. Birds of a Feather – I read the first Maise Dobbs book a while ago, and it’s high time I moved on with this fabulous series. Deerbrook – An old book I’ve never heard of til recently! It’s compared to works by Gaskell and the Brontes, so sign me up! Also, it’s available for free on Project Gutenberg. Great beach reads for you and your kids! The Maggie B. – I am in love with this book. Jonathan and the Big Blue Boat – Great for little boys! 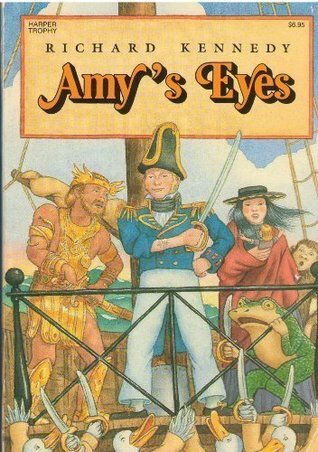 Amy’s Eyes – I read this chapter book in an old beach house when I was 10 or so and thought it was awesome. The Nickelplated Beauty – Such a good book about a family who lives near the sea, their rusty stove, and their love for their mama. The Golden Venture – Out of print, but an absolute treasure. I checked it out repeatedly in the library as a kid. It’s about a girl who stows away to follow her dad to the California Gold Rush and ends up living in San Francisco. I think I could go on forever! Beach reading is absolutely the best. I’m looking forward to a great summer of books and beaches. Share your favorite beach reads for you or for children! I keep hearing about Everyone Brave is Forgiven–I need to see if my library has a copy yet! 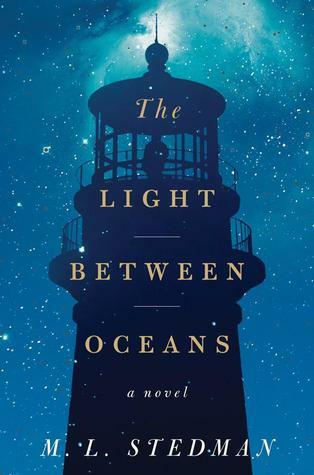 I really loved the writing in All the Light We Cannot See so the comparison makes me eager to check it out. I think Doerr’s book was easily one of the most beautiful books I read last year so that’s a pretty high bar to measure up to but hopefully it’s every bit as good! My TTT: Top Ten Tuesday: beach reads! I’ve never read Anita Shreve, but I’ve heard good things about The Pilot’s Wife. I’ll have to grab a copy! Jacob Have I Loved <3 I haven't thought about this book in years. I remember loving it 😀 and The Guernsey Literary and Potato Peel Pie Society is one of my favorites. It's such a great read! I love that you included some kids books. I'll check out Johnathan and the Big Blue Boat for my little man 🙂 I'd have to add Pippi Longstocking to your kids list. Loved those as a kid! Yes, Pippi would be great to read at the beach! Especially the sequel, Pippi Goes on Board.